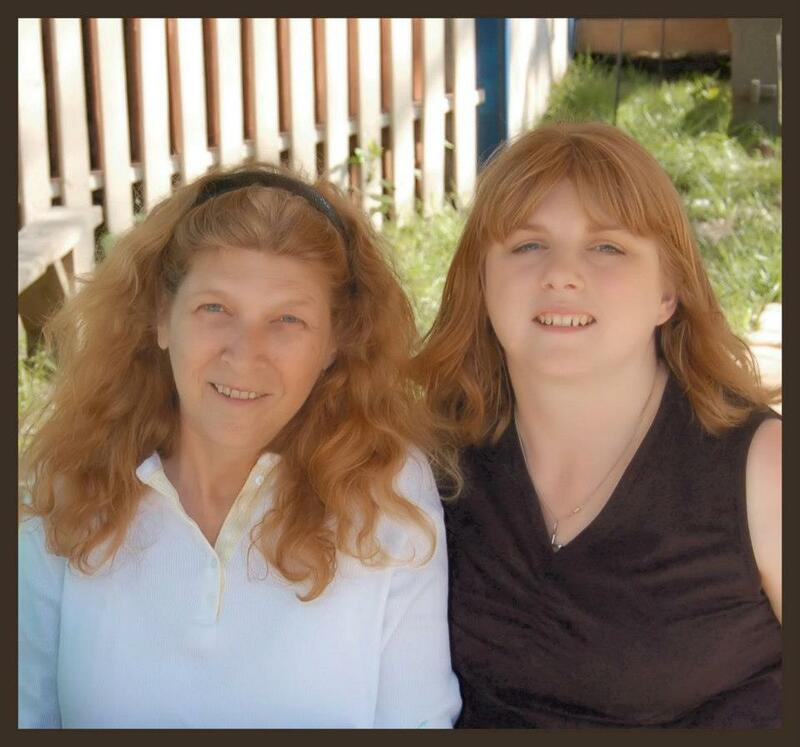 My mother and I in 2007. My whole life I was told I looked like her. I'd meet strangers in mall where she worked and they'd say, "Oh, you must be Connie's daughter!" This is my favorite picture because it is the last one where we looked alike. Her illness left her dangerously thin and gaunt. Stress and two kids left me...well, not dangerously thin by any means. December 1st was my mother's birthday. I spent most of the day successfully ignoring that fact—except for the few moments when well-meaning friends checked on me. I appreciated them. I know they miss her as much as I do. Facebook had to remind me through a phone notification, an email, and an alert when I logged on. Yeah, thanks for that. I can't remember what I did on my mom's birthday last year. You know, the one that was supposed to be the hardest because it was the first one after her death? I have no idea. I know the year before we had lunch with her best friend. The year before that, she was in the hospital recovering from the disaster of her first dialysis treatment. But I don't remember what I did last year. That's the myth of the first year being the hardest. In my experience, the first year is a blur where denial is a nice comfy blanket that keeps you safe from all those cold, hurt-filled days. My mom was sick to various degrees for over a decade. She missed lots of things—birthdays, holidays, kids' performances—and that makes it easy to pretend. Easy to pretend that she is just somewhere else, traveling for business, or with my dad (who died in 2004) at their land in Oklahoma (which we don't own anymore), or sadly, in the hospital again. Not gone forever, just not here. Sometimes that's how you make it through the dreaded first year. But I've already done that. Now we're on year two. Mom's birthday was on Friday. Saturday, I decorated my house for the holidays with her ornaments, her favorite Santa Claus, her clock that plays a carol every hour...and she isn't here to see it. I can't ask her which of the boxes and boxes of decorations are important to her and which are just from the half-price sales the week after Christmas. I can't show her some of the hideousness I've collected. Such as this bird I got at my writer's group ornament exchange. Who looked at that and thought, "OH! Just what my tree needs!" ? So the pretending is getting harder. Her absence is gradually becoming permanent. She really won't be here for Christmas with her little dog (who died a few months before she did) and a box of chocolate-covered cherries for me. She won't see her oldest granddaughter on the theatre stage or her youngest passionately discussing how much she loves debate class. She won't get to hear about the nightmare of teaching a teenager to drive (which she didn't do, by the way) or the excitement of them seriously considering college choices. Unfortunately, I've lost more than just my mom in my life. I know how this game is played (though that doesn't make it any easier.) And that made me debate my purpose for writing this post. I don't want it to sound as if I'm wallowing in self-pity or fishing for sympathy. I want it to remind you to be kind to those who have lost someone, even if that means being kind to yourself. It doesn't matter if it is the first year or the thirteenth. You are allowed to be okay (because sometimes you do really feel okay and that shouldn't be clouded by guilt), and you're allowed to not be okay because grief is a fickle witch with no concept of time.